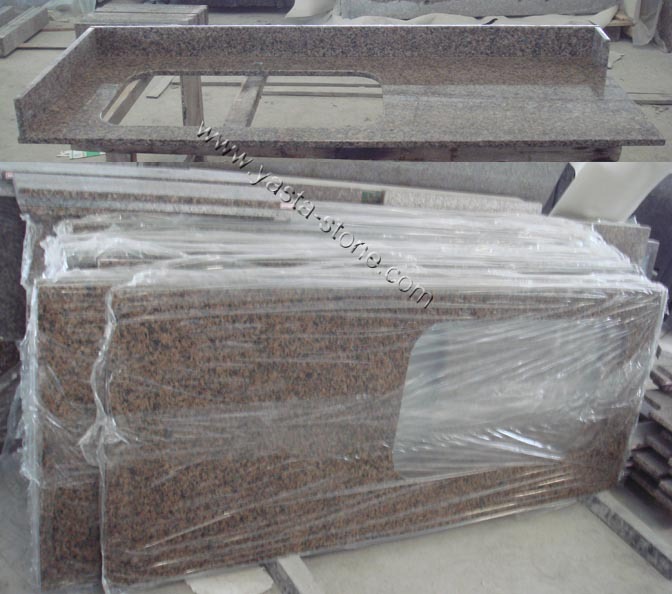 This is China Brown kitchen granite vanity top with our supplied double bowls undermout kitchen sink cut out. Buy top and kitchen sink all from us will make your work easier and save your cost. Now will supply many kitchen sinks by 304 18 Gauge stainless steel materials. Our sinks are sells well in USA, Canada.